Lightroom presets are so common nowadays that people just download them in most instances, but in some cases, you might want to create your own free Lightroom presets to use in your photography. If you wish to manage a library of presets designed by other passionate photographers or create and manage your own, Filter is the right place for you. Even more so, there’s free Lightroom presets right here to download! Presets are reference files that automatically set certain variables in the Develop module with just one click. Think of presets in Lightroom like a shortcut for certain settings when you’re editing a photo. If you use Photoshop for photo editing, presets are similar to Photoshop Actions. All of your presets appear in the left-hand panel in the Develop Module in whatever folder structure you set. I generally group them by the preset pack. Lightroom comes with some presets already loaded into the program, but they’re pretty basic. You’ll probably want to create your own or download free Lightroom presets to get them just right. Whether you want to make color pop more, accentuate your black and white image, or make the photo have a perfect vintage film look, there are so many starter packs out there to download. But they’re often expensive, which is why I create Lightroom presets for photographers to download absolutely free. With the newer versions of Lightroom CC, you can hover over presets and see how your image looks like the preset applied before it’s even applied. You’re not making changes to the image file itself when you apply a preset. The same with how Lightroom doesn’t save the changes to the original file, the presets just apply those settings the same way, meaning your original image file is untouched. Why are they called Best Lightroom Presets? Fair question. And there’s an easy answer. I call the presets my Best Lightroom Presets because they are created by me, and therefore, perfect for me. Just because they’re perfected for my use doesn’t mean they’re not useful to you when you’re editing in Adobe Lightroom. By no means do I feel that my Lightroom presets are the best Lightroom presets available. There are some amazing photographers offering fantastic resources, including presets just like mine. But I hope that my collection of created presets that are used in my regular editing flow are helpful to you. 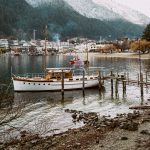 I spent a lot of time collecting Lightroom presets from other photographers who had carefully designed popular looks and created presets from their experience. Then I started creating my own presets, and it’s now my turn to make them available to you. My Lightroom presets are compatible with all versions of Lightroom, but I’ve specifically created them for Lightroom CC, Lightroom 5 and Lightroom 4. 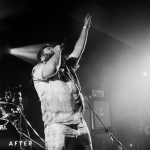 The presets work with earlier versions of Lightroom, but Adobe changed the way the Develop module processes photos, so the effects might not be the exact same as what the demo images suggest. But if you’re using anything earlier than Lightroom 4, I would really encourage you to update your software rather than worrying about how Lightroom presets work! 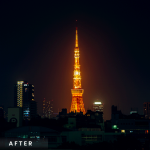 The change in Lightroom’s processing engine is totally worth it. So get downloading with any of the free Lightroom presets and let me know what you make with them! What are some of the most popular free Lightroom presets out there? They are literally just a quick search away. But you ended up here, so why not download my free Lightroom presets first? As for what types of presets are the most popular amongst photographers, I find that HDR Lightroom presets are some of the most common free presets available but there are many out there for any genre of photography, including weddings, real estate and food photography. First, you need to install Lightroom. Adobe Lightroom is an image editing tool that is non-destructive, meaning when you make a change to the image, the original file on your computer remains untouched. It’s super easy to install Lightroom presets, I even made a Lightroom tutorial exclusively showing you how to install them. How do I get the free or Best Lightroom Presets? To download the Lightroom presets I’ve made, just hit one of the links above and scroll to the bottom. It’s just one click away! How can I view the settings applied by a Lightroom preset? After the preset is applied, you can see what settings were changed using the Develop module. On the right-hand panels, you can see the different adjustments that have been made. This might seem overwhelming if you are a beginner photographer, but don’t be afraid to play with the settings and using the preset as a starting point. 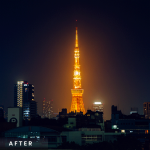 By making some adjustments, you can really make the Lightroom preset speed up your photo editing. You can also create new Lightroom presets from the original preset you used. You might even end up creating your own presets that better suit your needs.